Finding sports betting blogs to read is always very welcome. These sites often provide a lot of entertainment and insights as well as the latest events and new stories. Some carry reviews of tipsters while others mention the latest betting opportunities. Of course, if you are planning on carrying out sports betting then reading the right blogs becomes hugely important. By finding sites with valuable tips and information you will be boosting your chances of success. Which sports betting blogs are best for entertaining you? Will they also help you to improve your win rate? Let’s look at a few places where you can do both of these things at the same time. First of all, what can you expect from a site like this? There are a few reasons for looking at these blogs. Perhaps the simplest is if you are completely new to sports betting. Do you want to understand the basics? You can find out about strategies and ideas to help you out. You will feel more confident about betting once you have read about how to do it. Some blogs will also review tipsters and other services. This means that you can find out what is on offer. Naturally, a few of the best blogs are from people who sell their own tools or services. By reading their thoughts you can better understand what they offer. In this way, you can choose their service without any fear. You will also see that some betting blogs give specific betting tips or offers. This is an easy way to get started. Of course, free tips on a blog won’t be as profitable as a good betting system. Yet, it can let you get going and begin to understand the potential earnings. Finally, don’t forget that this should be a fun experience too. Any good blog has to give you something interesting to read. Some more pique your interest, amuse you or help you pass some time enjoyably. If you are bored at work or at home then why not read something like this? With the help of these blogs, sports betting is more accessible and better fun. They will show you that you can make money while enjoying life. Having said all that, let’s take a look at a few of the top sports betting sites. 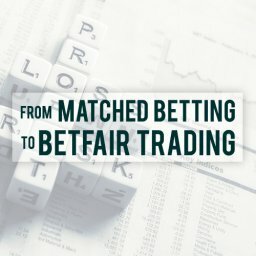 There are a few Betfair trading blogs in here too. Of course I’m going to add my site at the top of the list, I’m a little biased of course. If you are interested in matched betting then this should be a regular port of call for you. My blog has a huge amount of information on how to make the most out of matched betting. In this way, you can find out how to get an unfair advantage over the bookies with no risk. You will also discover a lot of useful information on betting systems and strategies on here. These articles cover a range of sports. This runs from horse racing and football to tennis, golf and more. In addition, you will see regular reviews for popular betting sites and tipsters. If you still aren’t sure how to bet then you will find a few answers here. We can see the variety on offer by looking at the latest posts at the time of writing. These are a Betscape review, a piece on tennis betting software and a golf betting article. Are serious about making money from sports betting? If you are then this is a great blog to take the first steps. You are sure to find out interesting new information every time you visit. This makes it ideal for dipping in and out of. It is suitable reading for newcomers and for experienced gamblers. Whether you are starting from scratch or just staying up to date, you will find what you need here. Everything is clearly explained so that anyone can understand it. This isn’t some sort of dry, boring site that you need to plough through with gritted teeth. Expert advice in interesting blog posts is the order of the day here. The articles are generally lengthy and packed with useful details. Do you want to use a betting tipster service? This is a popular way of trying to beat the bookies regularly. Yet, the quality and accuracy of tipsters varies widely. Some of them could give you big profits but others are less attractive. How can you tell which one to use to get started? This is why it makes sense to check out tipster reviews and news. Which is exactly what the Honest Betting Reviews blog offers. It concentrates on telling you how good, bad or indifferent each sports tipster service is. Get started on here by looking at reviews of well-known tipsters This includes names such as Each Way Leader, Top Rate Runners and Draw Doubles. Most of the big names in the sports tipping world have been reviewed here. A decent range of sports is covered. You can read about horse racing, boxing and football tipsters, among others. It is also possible to check out updates to see how top tipsters are doing just now. So, you get to see their latest results rather than just an older review. This allows you to track certain tipsters before signing up with them. Are they consistently good or do their results vary too much? You don’t want to waste money with a tipster who is on the slide. Sections on new reviews and different types of betting system make the site easy to navigate. If you are looking for a helping hand then you will find lots of useful details on this blog. There isn’t a huge amount of variety on here, though. The focus is firmly on tipster reviews, so you know what you are getting. They also offer a free “Ultimate Betting Secrets” manual to readers. The team behind this blog is led by a man called Dan. He is the Managing Director and a Cambridge University graduate. Other than that, little is known about him. This is one of those sports betting blogs that seems to have been around forever. 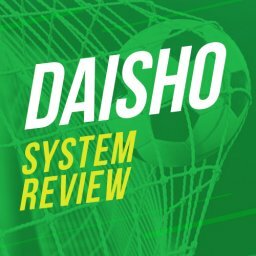 It is a review site that has a lot of betting service reviews posted on it. They also cover financial trading and investments too. The site typically has a review of a site and then regular updates on it. This lets you see how well the tipster or system is doing over time. Keeping track of these systems is vital if you are going to make a good choice. The sites cover a lot of different ways of betting on sports. Just now, some of the latest articles cover sports spread betting, the Big Call service and Top Dog. It is a good read with enough variety to keep it interesting. You might also like to dip into the other section about different investment types. A lot of the posts on here are very short and straight to the point. This means that it probably isn’t right for you if you want entertaining reading. However, it could suit if you just want clearly presented information. It appears to have been designed specifically for quick, simple reading. The “about us” section of the blog tells us the site has been going since 2007. Overall, they look at a variety of ways of making money. You can sign up for a weekly newsletter if you don’t want to risk missing anything. Are you particularly interested in Betfair trading? If you are then this site is a good choice. 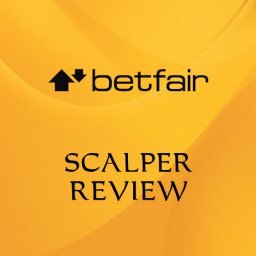 It has a strong focus on Betfair trading and decent insights. There is a lot of free content on here that will help you to more fully understand how to use Betfair. It is also worth pointing out that this blog is linked to an enjoyable YouTube channel. Watching videos is a smart way of learning about betting strategies more easily. Some people find it a lot easier to pick up information with a video. This is an enjoyable blog that is good to read. Even if you are totally new to sports betting you can soon get going here. If you think that you need to know about things like form and conditions then this blog will put you right. Caan Berry explains that you don’t need to worry about these factors anymore to trade effectively. The topics cover a range of subjects. So, some days you might find more that interests you than at other times. For example, we could look at the last few articles just now. These are about cold betting on Betfair, a few popular trading terms and reasons to use a betting exchange. This is a blog that isn’t as dry as some of the others betting sites around. Which is good news if you want interesting reading as well as clever tips. Sports betting should be fun and this site helps to make it that way. The man behind the site is named Caan Berry. You will find a few interesting details on his life on the site. He worked in McDonalds and joined the army before turning to Betfair trading. Now, his popular blog is a fine place to find out tips and strategies. The Bet Angel site is another place to find out about Betfair trading. It also has a decent YouTube channel you might want to follow. You will soon get to grips with Betfair strategies and realise that it can be a lot of fun. Articles on here tend to be well-written and easy on the eye. A good example is the recent “Trading the Open Golf.” It is a fairly short article but well-written and informative. Then there is “The Maths Behind Penalties” and other nice articles. 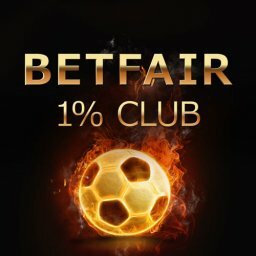 If you are looking for new ways of trading on Betfair this could be a site worth checking out. Even if it doesn’t lead to immediate trading opportunities, you will learn a few things. It is easy to understand and pretty good to read as well. Bet Angel has been around since 2004. They sell their own training tool. But there is nothing to stop you from just reading the blog for information now and then. Even if you don’t use their services, you can pick up good information on here. This site is a little bit different in focus from the last couple we looked at. Daily 25 is run by an Australian named Steve. He says he is looking to make a second income. He plans to do this by following the best tipster services. Regular post topics include monthly reviews on how well he is progressing towards his targets. This is fairly interesting to see, although it isn’t particularly going to help you in the future. However, it might show you which services are worth taking into account. What works for him may work for you too. Other subjects are the likes of competitions and affiliate links. It is fair to say that this blog has less content than others we have looked at. There aren’t lots of review and tips on here, for example. It is a good read but more about Steve’s adventures than future tips you can use. Having said that, the articles are pretty good fun to read. There are also some general information articles. For example, one of the most popular posts on the blog is about how bookies track punters. 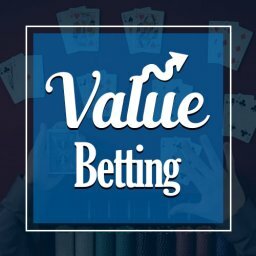 If you are looking to make a living out of betting then this is a blog to check out. Perhaps it will inspire you as well as give you some good tips. If Steve can make money from betting then what’s to stop you from doing the same? Are you interested in matched betting? This is a great way of beating the bookies with no risks. Yet, not everyone knows how to get started. Fortunately, choosing the right betting blog will get you going easily. The Matched Betting Blog is a sound place to get started. 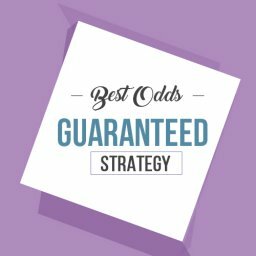 This free blog is a decent alternative to a paid matched betting service for beginners. Of course, it has its limitations but it is a reasonable starting point. The first thing to strike you about this blog is probably the way that articles are headed up. On the home page, you can see the potential profit on each tip. This is then updated, so that the actual profit is listed next to this. 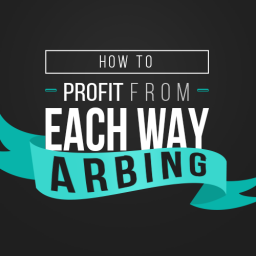 This lets you see at a glance how profitable these tips have been. You can also see the start time right away. So, it is clear whether you have time to take advantage of the deal. 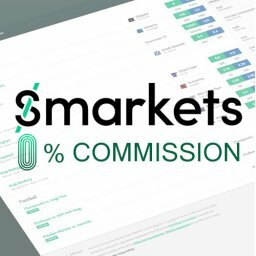 This is a smart way of presenting the information and lets you see right away what profits can be made. The volume of new content that is posted varies from day to day. They tend to post the easy bookie bonuses on any given day. These include money back specials and free bets. The posts are easy to follow and let you see how to use these offers effectively. This is a nice way to learn the basics. 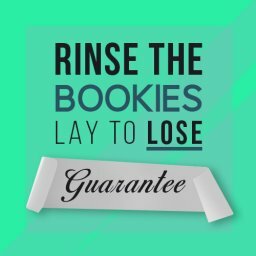 If you have heard of bookie bonuses then the next step is to take advantage of them. Not everyone is comfortable doing this right away, though. There isn’t much more to the site than that. It just gives you some easy pickings on matched betting. This could make it a good way to take your first steps with this type of betting. Either way, it won’t take up too much of your time each day. The person behind the blog isn’t named. Their “about me” section just tells us basically how they got started on matched betting. Now that we have looked at a few sports betting blogs, how do you get started? What if you don’t have a huge amount of free time? Then you might wonder how to find the right one. You don’t want to have to skim through them all, do you? Thankfully, these sites are easy to get started with. Just dip into a few of them and see what they offer. Of course, it really depends what you are looking for. Do you want something this is fun to read? Or just quick tips? Is it Betfair trading, sports tipsters or matched betting you want? Once you see what a blog offers it should be easy to decide if it suits you. If it does then you simply add it to your browser as a favourite. These sites are designed so that you can just jump in and out. Even if you miss a few days, you can get up to speed again in no time. Don’t waste any time in making money from sports betting. By choosing the right sports betting blog you can start taking money from the bookies with confidence. I am just a starter in betting please select for the most trusted tipster sites with afordable amount .